By John Wagner, Carlos Ezquerra and Kev Walker. 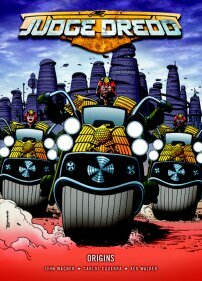 Now in this much-anticipated Dredd epic, history is written by Dredd co-creators John Wagner (A History of Violence) and Carlos Ezquerra (Strontium Dog) with a special introductory tale featuring the art of Kev Walker (ABC Warriors: Khronicles of Khaos). Also features Carlos Ezquerra sketches. By John Wagner, Alan Grant, Steve Dillon, Ian Gibson and many others. DREDD IS ON THE CASE! In Mega-City One the streets are awash with danger, whether it be rampaging giant alligators or crazed perps with murder in mind. Keeping order in this crime-ridden metropolis are the Judges, stern guardians of the peace with the power of judge, jury and executioner at their disposal. 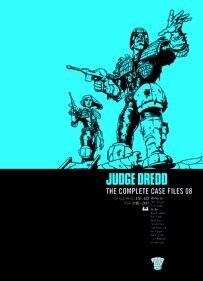 The most fearsome is Judge Dredd and these are his greatest cases. This bumper volume of Thrill Power includes such classic tales as 'Dredd Angel', 'The Wally Squad' and 'City of the Damned'. Written by comic legends John Wagner (A History of Violence) and Alan Grant (Batman) this volume features the art Steve Dillon (Preacher), Ian Gibson (The Ballad of Halo Jones) and Cliff Robinson, amongst many others. London ­ a city overrun by the zombie hordes. Most of the human survivors live from day to day, scraping together an existence amongst the ruins, avoiding the shambling, flesh-hungry undead that stalk the streets. But for others the situation is an opportunity, a chance to establish a powerbase within the capital now that all authority has virtually collapsed. 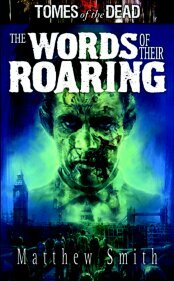 For gang lord Harry Flowers, the plague is his chance to finally rule the city unopposed. Tomes of The Dead is an exciting new collection of novels bringing you the very best in flesh-munchingly, gut-wrenchingly, eye-ball-poppingly good zombie fiction.